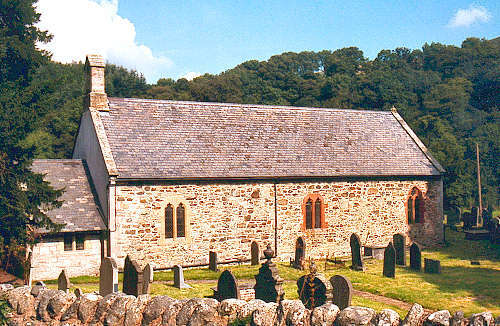 St. Mary's church was a chapel of ease to Llanynys until 26 January 1874, when Cyffylliog was established as a separate parish. However, Cyffylliog had already functioned as a separate parish, to all intents and purposes, for many years previously. The parish comprises the townships of Bontuchel, Trefor (or Cefntrefor), Treganol (or Fachlwyd), Ffiddoedd and Tre'r Parc (all of which were previously in the parish of Llanynys). In 1878, a further 2007 acres were added to Cyffylliog from the parish of Llanrhaeadr yng Nghinmeirch. St. Mary's church is believed to date from the late twelfth century. The present building was erected in the fifteenth century; and was restored in 1876 and 1904. For family history information about the church and parish, visit the GENUKI Cyffylliog page.